Michael Hunter, Attorney At Law. My name is Michael Hunter and I am here for you. Your attorney needs to fully understands the details, processes, and nuances of your legal matter, and they need to fight for your rights through every step of the legal matter. As your attorney, that is what I will do for you, and I will keep you involved and informed of the progress, as it happens, so you can best understand what is taking place with your legal case. 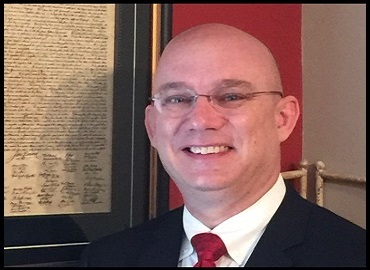 I reside in Panama City, Florida and the law offices of Michael Hunter are ideally located to serve the 14th Judicial Circuit, which is in the Northwest Florida Panhandle. This encompasses Bay, Gulf, Calhoun, Jackson, Washington and Holmes counties. Don't let legal issues take over your life. We have experience and want to assist you. If you are looking to live or work in the United states or to become a legal citizen, you need effective legal representation in American Immigration law, which is a specialty of Michael Hunter of Panama City, Florida. Our legal team will care for you with compassion and assert the legal strength you need, and at the time you need it. All you need to do is to contact us to book your no obligation, low-cost legal consultation to help us understand your personal situation. Learn more about Immigration Law. The legal team of Michael Hunter truly cares about you and your family. We know the situation can seem more than difficult and quite often the unknown compounds the stress and heartache. A low-cost, expert consultation with Michael Hunter, Attorney at Law, will bring about a better understanding of what to expect, which will bring comfort to you and your family. There is no obligation and only minimal cost to you, so why not give us a call today to schedule your legal consultation? Learn more about Family Law. The information on this website is for general information purposes only. Nothing on this site should be taken as legal advice. This information is not intended to create, and receipt or viewing does not constitute, an attorney-client relationship.